Made it back to Kathmandu early this Sunday morning (Late Saturday evening in the States). What a long strange trip it has been! 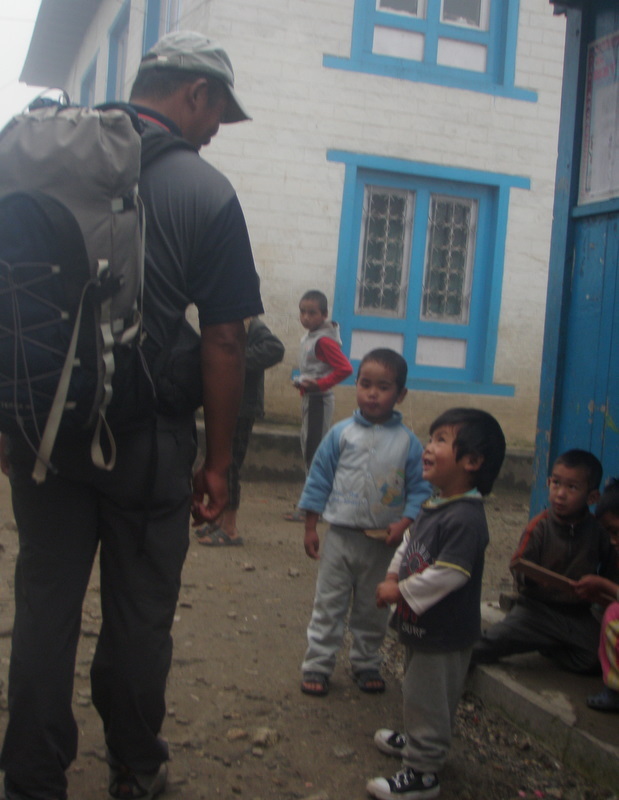 A huge thanks to Dorjee Sherpa’s company Himalayan Windhorse Adventures who have helped managed logistics for both treks amazingly well. We arrived in Lukla to fly out from the Tenzing-Hillary ‘airport‘ (had to use the quotes) yesterday to confirm one day prior as required. During the walk from Phakding to Lukla, guide extrardinaire Chhe Wang Sherpa (Dorjee’s older brother) told us all flights to Kathmandu had been cancelled and only early morning flights had made it out all week. Sure enough (and somewhat ironically after descending thousands of feet during the previous days) we finished our last couple of hours walking uphill, often on stone steps, into Lukla which was enveloped in the clouds. We arrived around noon and our first stop was Chhe Wang’s tea house. His little boy Urgen was playing outside and hadn’t seen his father in two weeks. His face really lit up when he saw his father. Suffice to say we had a long day in Lukla – along with some spotty wifi at a knock-off Starbucks which could not make coffee because it did not have enough power. The hot chocolate was good though. There were a lot of anxious trekkers milling about but Chhe Wang assured us that we had solid seats for the 7am flight and if the weather was good we would not be bumped. We had a nice goodbye dinner with him and porters extraordinaire Kang Sa and Lak Pa and went to bed early. Woke around 4 and we were still in the clouds but at 5:30 things were clear (though there were clouds above and below the village). We walked down the cobble-stone street together and arrived at the airport at 6:15am this morning. It was quite at first – with only a handful of travelers and no power (it had gone off at 11:20pm the night before – not sure if that was intentional). But soon travelers (and their/our anxiety) began spilling into the airport. Chhe Wang had disappeared and we didn’t have tickets – people started getting checked in and with only ~16 seats and the departure time approaching we started getting a little stressed. But Chee Wang soon appeared – physically behind the check in counter at times, working with the agent (an old friend no doubt – the man knows everyone in hometown Lukla), double checking our baggage on the runway at others, telling us where to stand, and finally ushering us through security and saying brother Dorjee was already waiting at the airport in Kathmandu. In the midst of this – watching some passengers exit for a different flight, I found myself almost physically bumping into Dan Mazur from http://www.summitclimb.com who was getting on a different flight. Tandra and Alex also know Dan from Seattle and we all said hi to him and may meet up later tonight for a drink. The view from the tarmac was crazy with tiny twin otters from Kathmandu arriving in rapid succession and beyond them the moon and the sun over the mountains. Despite the chaos, we found ourselves roaring as scheduled down the short runway (it literally goes downhill and then just ends, with a drop of a couple thousand feet afterward I think). The flight was only 50 minutes or so – we sat on the right (literally and figuratively) side of the plane to get the best views of the mountains. The scenery below was almost as amazing with waterfalls and extremely isolated villages, valleys, and houses. The airplane itself was jarring, the first engine and real pavement in almost 2 weeks. Before we knew it we were at the Kathmandu domestic airport and on a bus, then greeting Dorjee who made dinner plans with us and ushered us onto a mini-bus saying younger brother Nima (assistant guide on Annapurna Trek) would meet us at the hotel. 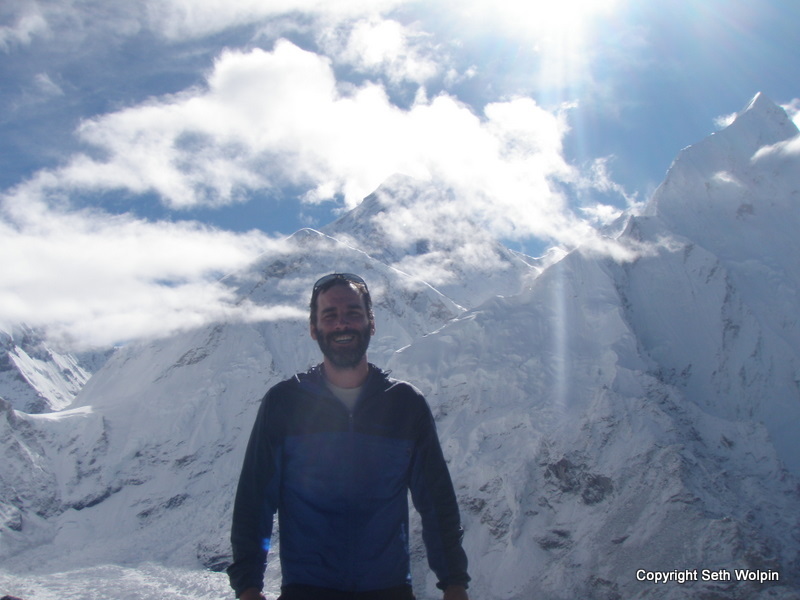 but got snowed in/turned back at advance base camp (~18,500ft) during our attempt to climb Imja Tse (Island Peak). 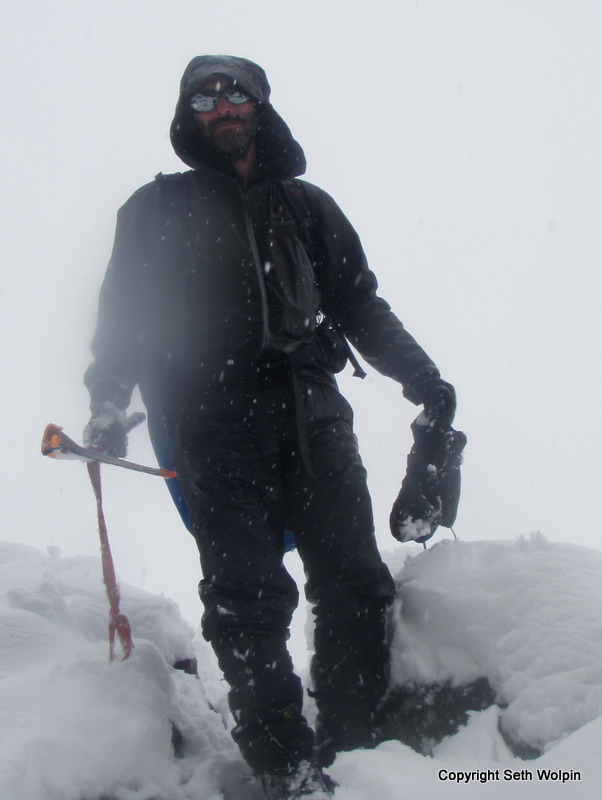 To date, sounds like no parties have made it to the top this year due to snow conditions. Will write a better report asap. Cheers, Seth.